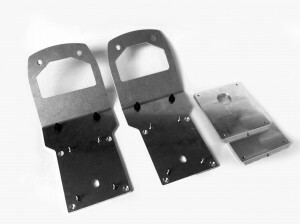 Si vous souhaitez vous lancer dans une production 3D avec deux EX3, vous aurez besoin de ces plaques de fixations. 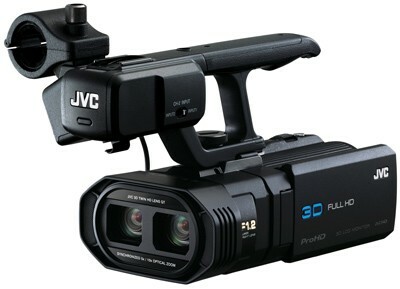 JVC’s first ProHD 3D camcorder. With an integrated 3D twin lens design, powered by JVC’s proprietary large-scale integration (LSI) chip for high-speed processing of HD video, the GY-HMZ1 can simultaneously record each left and right image in full 1920×1080 resolution, to non-proprietary SDHC or SDXC media cards or to the camera’s built-in 64GB internal memory. Dual 3.32 megapixel CMOS sensors – one for each lens – deliver 34 Mbps AVCHD recording in 3D or 24 Mbps in 2D. Video can be recorded with timecode at 50i to provide smooth motion (for sports and other fast action) or 24p for a film-like effect. The GY-HMZ1 can also capture 3D time lapse and 3D digital stills.